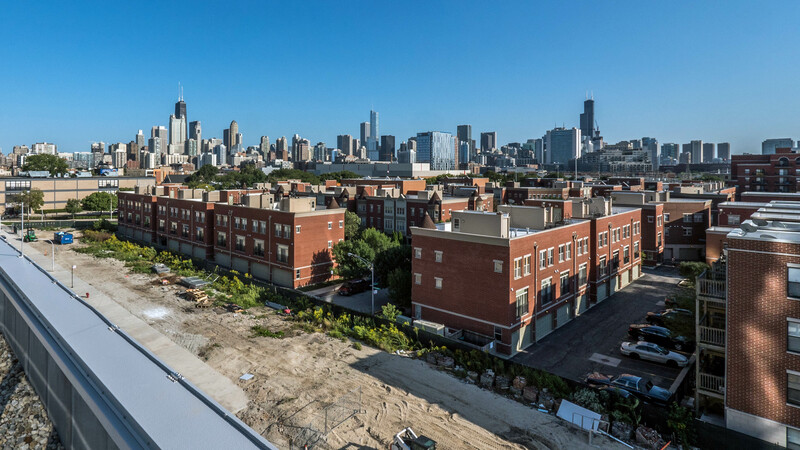 The east-facing balconies at New City offer what’s likely to be the most sweeping view of Chicago’s skyline that you can find in a rental apartment. The view stretches from the West Loop north beyond Edgewater. Click the above image for a larger version, or click the down arrow at the right of the image at Flickr to view a much larger version. If you prefer the cityscape views from a west-facing apartment, you can still enjoy a skyline view from the fitness center and pool deck, or from the roof of the adjacent New City garage. New City is a new full-amenity, full-service, pet-friendly community with studio, convertible, 1- and 2-bedroom, 2-bath apartments. Floor plans are available online. The leasing office is open daily on-site.